This lovely, lacy shawl was designed by Jared Flood. 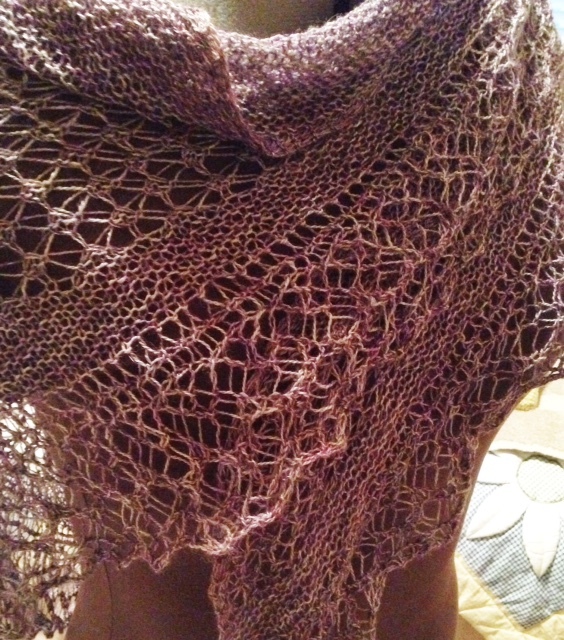 I went up a needle size (size 7US) because I like my shawls on the large side. When I knit another version (and I will), I might go back to the size 6, as I think that would be fine. But I love this version. The yarn is Malabrigo Baby Silkpaca, and it was a dream to knit with. Working the 71 repeats of edging pattern was not fun for me, but once I picked up stitches and started the body of the shawl, the pattern was a breeze. Rock Island admiring herself in the mirror. Anne and Rock Island, ready to go to the office! Lace isn’t all fine and fancy shawls. 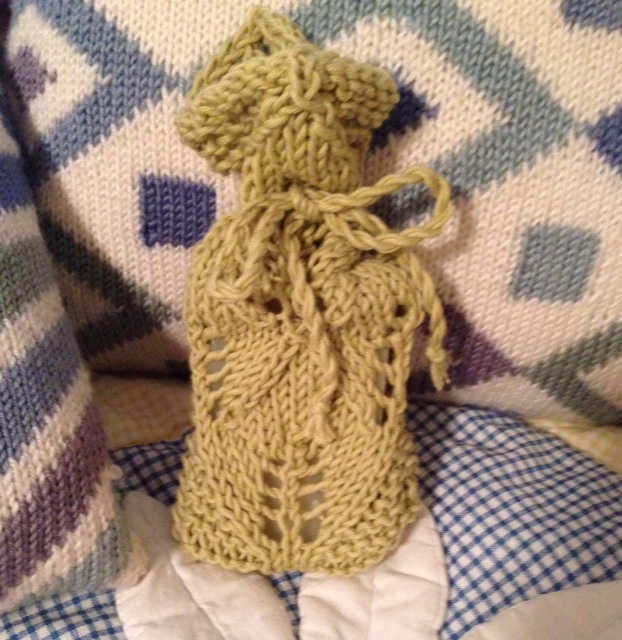 Look at this lovely soap bag Tracy Irwin gave to me this weekend. She made the soap inside it, too! Lace can be done in all shapes, sizes, with lots of different types of yarn. I treasure knitted gifts. Thank you, Tracy! That’s beautiful. 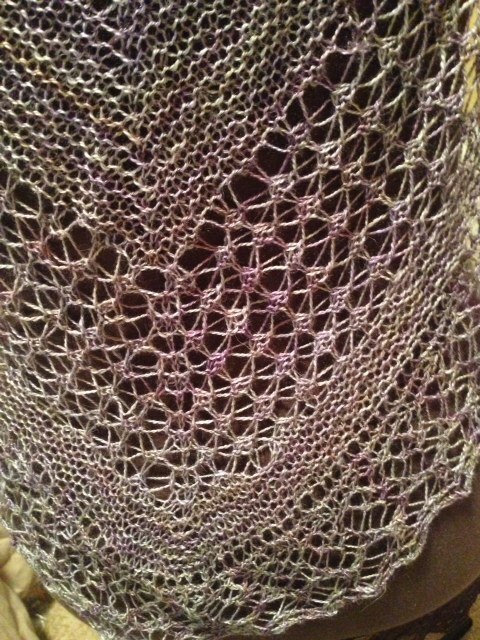 What would you consider the skill level on this shawl? 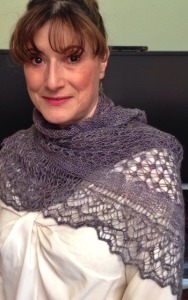 This was not a difficult lace pattern to work, and I like the shawl so much that I have knit it twice, in different yarns. This yarn was very silky and slippery, so I found a wooden needle tip helped prevent stitches falling off.